At our Los Angeles Fertility Clinic, you will find an expert team of fertility specialists who are internationally and nationally recognized as experts in the field of reproductive medicine. We are dedicated to your success in IVF - in vitro fertilization, egg freezing and other fertility treatments for women and men. The new chapter in your fertility success story starts with the highest quality of fertility care that comes from an established team of fertility specialists and staff who are truly dedicated to your success. 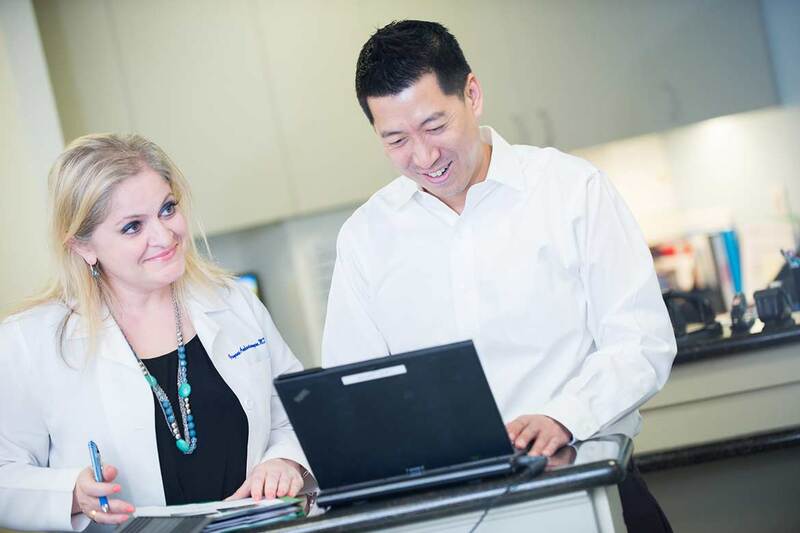 You will be treated by renowned fertility doctors who have helped develop the technical breakthroughs and ethical guidelines that are followed by fertility clinics throughout the United States. 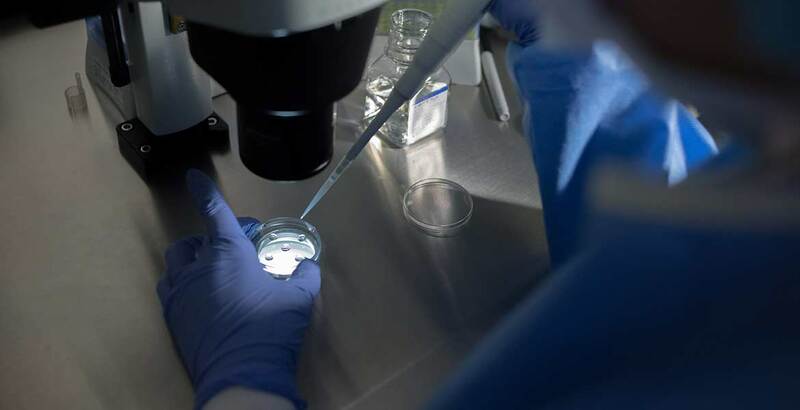 You will have access to experts in the field of fertility who continue to pioneer new research in the development and implementation of innovative infertility treatments. Most importantly, when you are a patient at Reproductive Partners' Los Angeles Fertility Clinic, you have a partner with the experience, insight, and compassion to guide you through every step of the process. From your very first visit to the fertility center at Reproductive Partners Los Angeles, you will experience the personalized attention and care that sets us apart. Unlike other fertility clinics in Los Angeles, we take the time to examine a broad range of treatment options rather than push you toward a procedure that you are not ready for. With all your options in front of you, your fertility doctor will help you through treatment decisions, while providing you with in-depth explanations and answers to all your questions. The result is a personalized fertility treatment plan that you understand and are comfortable with. Your appointments are always with one of our physicians who perform all office procedures including ultrasounds. At Reproductive Partners Los Angeles the doctors, nurses and IVF coordinators are available 7 days a week, 365 days a year. We know that fertility treatment can be highly technical, extremely complex, emotionally draining and expensive, which is why providing personal attention and walking you through every step of the process is so critical in achieving success. Having successfully implemented some of the very first IVF procedures in the United States, the fertility specialists at Reproductive Partners Los Angeles are nationally and internationally recognized as pioneers and innovators in the field of infertility treatment. Reproductive Partners Los Angeles physicians serve on the editorial and review boards of medical journals such as "Fertility and Sterility" and "Journal of Assisted Reproduction and Genetics." All Reproductive Partners Los Angeles doctors search for important new developments within the fertility community which ensures that the personalized fertility treatment plans at Reproductive Partners Los Angeles are in line with most recent advancements in infertility research. Successful fertility treatment requires a cohesive team of doctors, nurses, embryologists, scientists and staff all working toward a common goal. Reproductive Partners Los Angeles has 6 doctors specialized in reproductive medicine who help each other effectively diagnose and treat patients. Many of our physicians and staff members have been together for over 20 years. This legacy of cooperation has produced techniques for developing individual treatment plans which result in a high level of success in even the most difficult cases. When you join the Reproductive Partners Los Angeles team as a patient, you will benefit not only from the expertise of a single physician but also from the combined knowledge and innovation of the entire group. Reproductive Partners Los Angeles has always been a leader in ethical fertility treatment. Dr. Yee is the former President of the Society for Assisted Reproductive Technology (SART). It is the establishment and enforcement of ethical guidelines that protect patients from dangerous or unnecessary treatments. Reproductive Partners Los Angeles has always followed these ethical principles and have been leaders in reducing the number of embryos transferred per IVF cycle to reduce the chance of higher-order multiple pregnancies. At Reproductive Partners Los Angeles, we feel that the best chance for a successful pregnancy occurs when the outcome results in a single baby. As an elite, handpicked group of America's top fertility doctors, RPMG has seen and treated all types of infertility achieving some of the most outstanding success rates. However, success is not only defined by the more than 10,000 births resulting from fertility treatment at Reproductive Partners Los Angeles. It is defined by the entire process leading up to each new baby. Success is realized when you, as a patient, feel comfortable and fully understand the procedures you're undergoing. Success is achieved when you can ask and are provided with answers for all of your questions. Success is accomplished when you participate in the decision of what treatment option is best for you and can begin that treatment with full confidence. Success is attained when top physicians collaborate and apply their combined knowledge and individual skills as doctors to solving your infertility, bringing you a baby, the happy ending to your personal success story. The first page in a new chapter of your personal success story starts with an initial consultation.